I’ve found grace inside a sound, Let me in the sound! I love you cause I need to, not because I need you. Your legs were crossed, your arms wide open. Time is a train, makes the future the past. Free at last, they took your life, they could not take your pride. When your thoughts are too expensive to ever want to keep. What you don’t have, you don’t need it now. 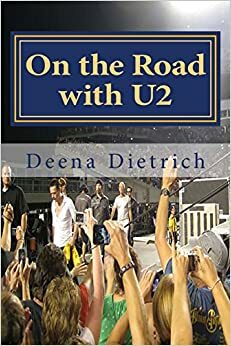 For all things U2, please follow me on Twitter @OnTheRoadWithU2. 5)IN A LITTLE WHILE: In a little while, this hurt will hurt no more, I’ll be home love…. 6)ONE: (1)We’re one, but we’re not the same…(2)You ask me to enter, but then you make me crawl…..
7)INVISIBLE: (1)Of those frozen days, and your frozen ways, they melt away, your face like snow… (2) You don’t see me but you will I am not invisible I am HERE…..
9)GET ON YOUR BOOTS: You don’t know how beautiful you are…. 10)CEDARWOOD ROAD: A heart that is broken, is a heart that is open….. Thank you SO much Vicky! And thank you for sharing your favorite lyrics!